Are you looking for the best moving services NJ offers? All In One Moving & Storage NJ provides top quality, efficient and affordable local moving services in different NJ counties. Our business was founded with a goal of becoming a moving company people can fully trust. Our expert movers are committed to satisfaction of our customers, looking not only to satisfy but to exceed your needs. 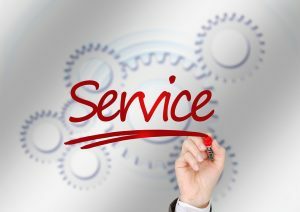 We understand that each move is unique and hence demands a unique combination of services. Therefore, we work with you from the very beginning, doing everything to ensure a completely stress-free moving process. Giving yo the freedom to focus on your relocation and enjoy the move, rather than deal with the headaches that come with moving. From the first the last box we pack and unpack, our movers are doing everything to make sure you have a successful move. Getting your valuables and belongings from previous home into your new one can be quite tricky. Fortunately, with all the experience we have, we’re more than prepared to meet your needs with services aimed at providing you with a smooth moving experience. To start, we disassemble and reassemble everything. From entertainment centers, to beds, to swing sets. All In One Moving & Storage labels and inventories your boxes based on rooms and your needs upon arrival. Once we arrive at your new residence, we put your belongings in the rooms you want them in. You just need to point the way! Our residence protection pads protect the railings, walls, tight corners, and doors from damage throughout your relocation. Likewise, carpet covers keep high traffic areas free of debris and markings. Once we’ve finished moving you into your new home, we can remove all empty containers so you can immediately begin organizing your things. Working with you on making a detailed moving plan – With a good moving plan, the moving process is way easier. This is one of the most important moving services NJ companies offer. De-cluttering your home – We can give you recommendations on how to de-clutter your home and hence lower your moving expenses. Disassembling and reassembling your furniture and electronics – Whatever needs to be disassembled, we have it covered. Transporting your items from A to B – We cover all sorts of relocations, no matter what distance. Optional Services – Unpacking, debris removal, storage, auto transport, and more! Say the word and we’ll take care of it. Moving insurance – We care about the safety of your items. This is not exactly one of moving services NJ companies tend to offer. At least those not committed to customers don’t. As we said, All in One Moving & Storage is a company that cares about the needs of our customers. In accordance with this, we cooperate with you since the very beginning. And the very beginning of every successful job is making a moving plan. Knowing that each relocation is unique, we are prepared to work with you on creating a clear schedule of all activities you should undertake while preparing for your particular relocation. Having enough experience, we know how much time every step takes, and hence we can advise you what steps to take first, and what to leave for the end. We would suggest hiring us the moment you find out that you are moving. This way you will have enough time to conduct everything before your moving day comes. Don’t underestimate the relocation. It’s one of the toughest jobs you’re going to deal with in your whole life. With the right NJ moving services, you will have a chance of enjoying your move. This is why we suggest you start with preparations as early as possible. And before you start anything, make sure you get in touch with us and make a good plan of all steps to take. That way, you’re making sure you won’t forget anything, and that you’ll have a clear picture of what’s to be done and when it should be done! And guess what? All in One is here for you to help you decide what items you could get rid of and hence lower the volume of your relocation. The lower volume means lower moving costs, and you are probably interested in not wasting money on your move. Besides, not only that you can save money by lowering the costs. We can give you a tip or two for arranging a successful yard or garage sale and earn some money. This way you can increase your moving budget! All in One Moving & Storage, as a company taking care of our customers’ happiness, made you able to choose the package of moving services NJ you like the most. This stands for packing services too. Whatever fits you, you can opt for it. Our full-service packing means we take care of packing all your items. No matter the size, kind or value. 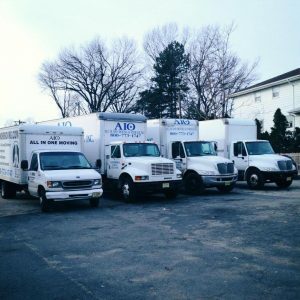 All in One employs only the best of the best movers in New Jersey. This means we are fully prepared to handle all sorts of relocations, no matter what items you might be moving. If you want to do some parts of the packing process by yourself, not a problem at all. We can pack fragile and valuable items, letting you do the rest. And you get to pick what you want us to pack and what you want to pack yourself. Or, perhaps you would like to do all the packing? It’s an option too. But we can still help with disassembling your furniture. If you think you can handle everything, then we offer packing supplies to make sure you packed your items in perfectly safe packing materials. Avoiding the damages along the way. Loading and unloading items – with our handy movers your items are perfectly safe! Yes, it does seam as anybody could pick up the box and load it into the truck. But, do you know how to handle heavy items? how many men it takes to safely carry those demanding belongings? Do you know what should be loaded first, and what you should leave for the end? If you’re not perfectly sure about answering any of these questions, we would suggest not trying to do this part of relocation yourself. First of all, somebody can get seriously injured. Moving heavy items should be left to the pros with experience in handling them. Second, you could damage your items while loading and unloading them. Not handling some fragile or valuable items properly might lead to major moving issues. This is why moving services NJ providers are here! All in One Moving & Storage, with top moving experts, guarantees for the safety of your items! Third, last, but not least important, you could manage to load the items without injuries and not breaking anything. But, what if you didn’t load the items in the right order? If something like that happens, chances are high that something will get damaged during the transportation. Is it worth the risk? We suppose no. This is why we invest this much in training and education of our employees, making sure to provide the top New Jersey moving services! Do you know how to drive a moving truck? Yes? Do you have enough experience in it? If the answer is no to any of these two questions, we would suggest not trying to do it yourself. Many people advise DIY relocations. The most of them have never moved. This is why there are so many troubles appearing when moving home. Especially when moving home long distance, trying to drive a truck yourself. Transportation is one of the most important moving services NJ relocation takes. With a proper know-how, our drivers guarantee that there will be no damage to your items during the transportation. 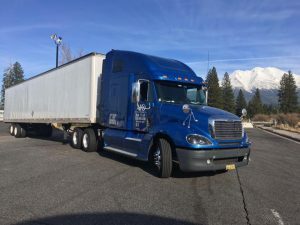 Paying attention to every single relocation like it’s the first and most important to us, we are making sure that your items will be safely delivered to the address you set. No matter how far away it is. Unpacking – Not only that we can pack your items, we also offer unpacking services! We can unpack everything, letting you enjoy your new home since the day 1. Imagine waking up the next morning, having a cup of coffee and not having to do anything. With All in One Moving & Storage, it’s an option you can choose. ‘But’, you could say, ‘there will be debris all around the place, we will have to clean the whole place after the movers leave’. This is why we offer even more additional services. Debris Removal – After the unpacking, we can handle cleaning the whole place! The moving day is quite stressful and exhausting. Believe us, having someone to take care of those not so interesting and relaxing things is a blessing. If you truly want full moving services NJ offers, hire us and enjoy! Storage – Being a moving and storage company, All in One offers short and long-term services. Whether you need to store your items for a while, or you need a permanent storage solution, we have you covered. Not only that your items will be safe from theft, but also from climate influences and damaging due to various factors. 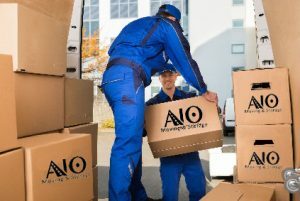 All in One is a company taking care of all moving needs our customers might have. Even of those needs not directly connected to the relocation! Auto transport – In a need of relocating your car to a new place? We can handle everything, no matter what sort of auto transport needs you might have. Not only that we guarantee for the safety of your belongings, but we also offer moving insurance coverage in case something unpredictable happens and causes damage to some of your belongings. We are not just moving services NJ provider. We are a company looking to completely satisfy the needs of our customers when moving office or home from A to B. When you get in touch with All in One Moving & Storage regarding moving services NJ, we assign you a personal relocation consultant to determine your specific needs and ensure stream-lined service throughout your move. Our relocation consultant offers you options remaining within your moving budget. At the same time alleviating any concerns about hidden prices or fees. We provide clear explanations of costs before your move, and our PriceLock guarantee protects your estimated total from additional costs. In instances where your rate comes in under the initial estimate, we honor the lower price with our Guaranteed Rate Reduction Pricing. Speak with us about our customized pricing structure for a combination of guaranteed and separate service costs. For more information about our moving services in New Jersey, call All In One Moving at (201) 773-6960.